Access blocked content with a proxy free browser or a VPN. At present, there are some policies being formulated by the governments around the world about proxy servers and Kodi apps. There has also been a lot of debate on net neutrality. The net neutrality is your basic right. This allows you to freely use the World Wide Web, without worrying about people tracking your every move. Usually, the moment you connect to the internet, your ISP or internet service provider can track you with the help of your IP address. This IP address allows anyone to track you down and monitor your online activity. However, that also makes you vulnerable to geo restrictions. To avoid such policing, you can opt for a proxy free browser. As you are aware, Google is tapping the market of live TV streaming services via YouTube TV. In the beginning, the Google’s live TV was available in only major US cities: L.A., New York, Philadelphia, Chicago, and the San Francisco Bay area. However, now the YouTube TV is now available in ten more metros in the US. If you are using YouTube TV, then you will be able to watch live TV from ABC, CBS, FOX, and NBC. In case you are living in an area where you cannot access live TV streaming due to geo-restrictions, Le VPN is an easy, reliable, and affordable solution. 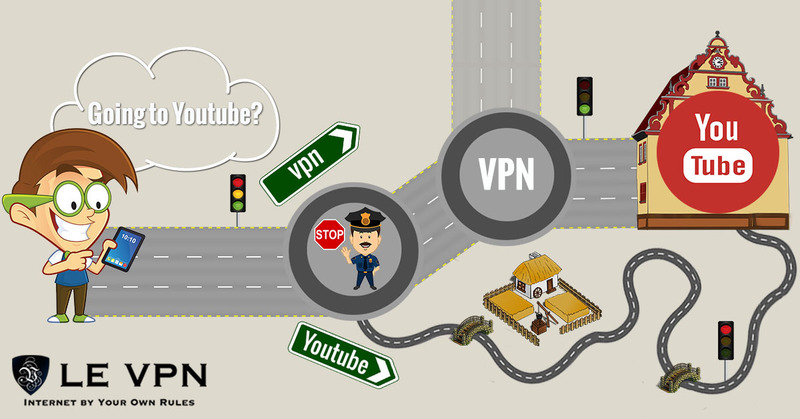 Simply use Le VPN’s IP address of the location, where the content is legally accessible. E.g., you can unlock US websites with the help of Le VPN’s US IP address. This is possible even if you are sitting in the UK. Once you change your IP address, you unblock all the content that you wish for. Also, Le VPN is one reliable VPN provider in the market today. Why Should You Use A Proxy Free Browser Or A VPN? Stay anonymous: By using a proxy free, the internet service provider cannot track your actual identity. This means irrespective of what you do on the internet; your identity remains anonymous. And there is no way someone can track you down. Your IP address, which also shows your geographical location, is hidden from the internet service provider. This also means that you will be able to access websites that are put on a ban list. This is same with a VPN. Bypass restrictions on proxy servers: A proxy free browser or a VPN also allows you to bypass the restrictions put in place by an employer. Generally, corporate organizations go for proxy servers. The server allows tracking the online activities of the employees. An admin is usually in charge of this department, and he supervises the online activities of the employees. In such a scenario, a proxy free browser is a great means to bypass the proxy servers. Bypass Geo-restrictions: A proxy free or a VPN is mainly popular to access the restricted websites. Since your internet services are routed off to a different location, no one can track your identity and IP address. Naturally, that enables you to access websites that come with geo restrictions and bans. Thus, if there are streaming content websites which you are not able to access due to bans, you can do so with proxy websites. As mentioned, using a VPN or VPN router is an easy and affordable solution. Subscribe to Le VPN today, and enjoy uninterrupted TV streaming anytime.